SI-LA-GI invited other artists in 1984 as a first occasion to cooperate in a transformative spatial work. 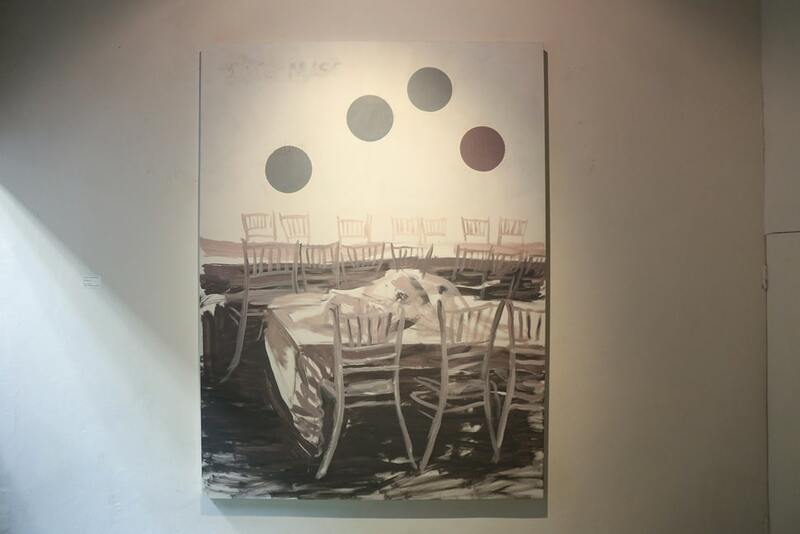 In 2003 he continued the visual dialogue with street art, Buddhist grand masters and other engaging creative people in the form of collective paintings. 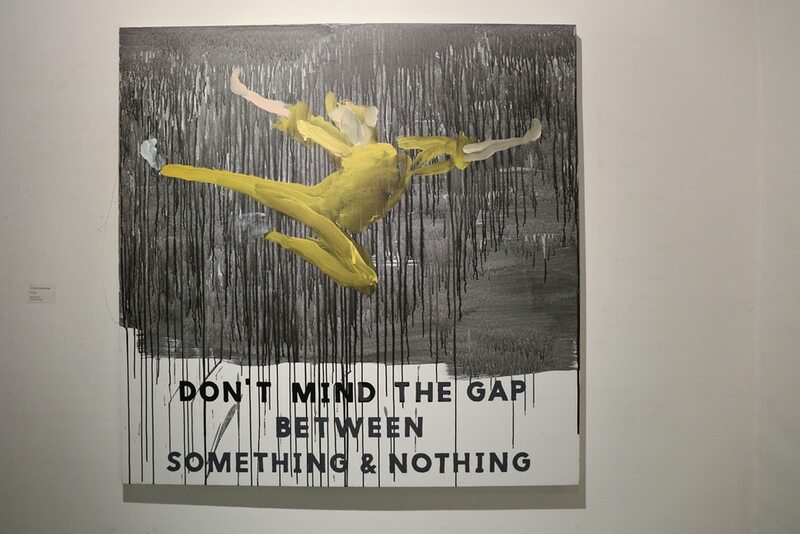 He learned to know Tawan Wattuya (born.1973) in 2007 via the Tang Contemporary Art Bangkok and their first large size cooperative paintings were made as part of the project “Good & Bad” in the beginning of 2008. The very special process of their cooperation has continued since then and the present project, their fourth, has been the most intense and absorbing. 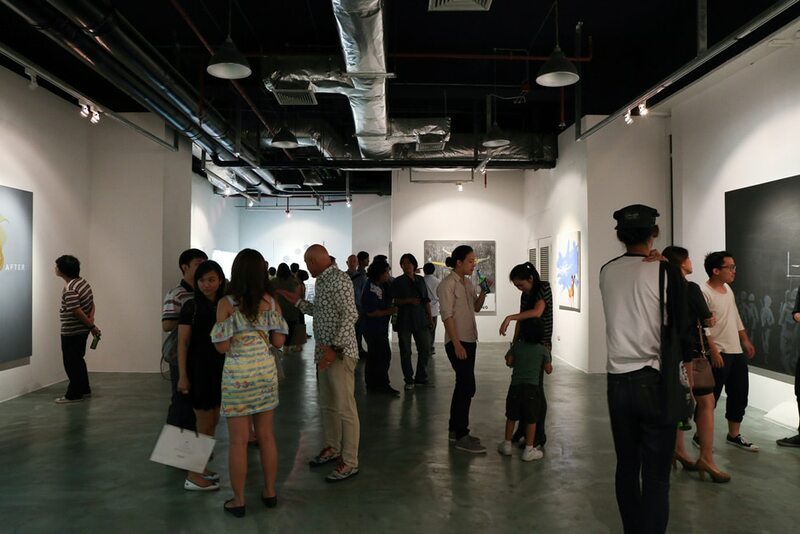 Occasionally they do invite other Thai artists to participate in these visual discourses which are not only the individual artists’s exchange of ideas manifested in pictures, but also forums for cultural, aesthetic and ideological – non-verbal – communication between East and West. 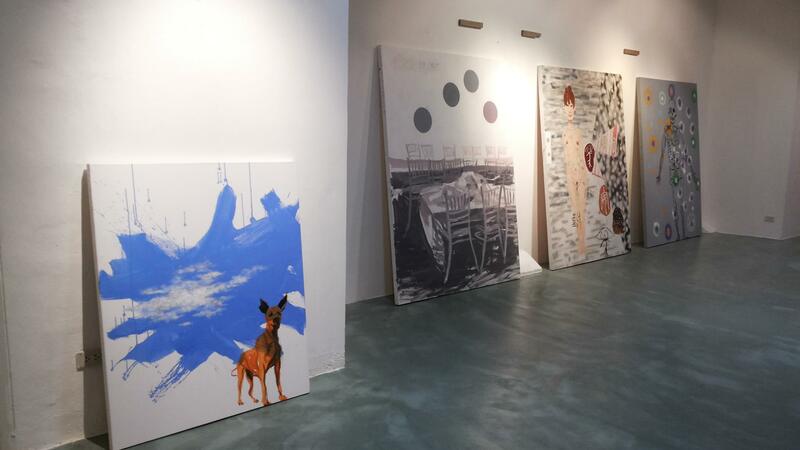 There is no lead concept or organizing principle in these collective works. There is no plan, verification, conference here, only the visual communication and reaction to each others painted proposals. Individual decisions determine if one is to paint over parts or the whole of the other’s work. The added – drawn or painted – reactions continuously and fundamentally change or redirect not only the picture’s form and expression, but its content as well. The differences in cultural background and age do not post barriers – the uninhibited freedom and courage of the two artists override that. They continue to exceed not just the aesthetic, stylistic and ideological rules and limitations, but also themselves. As the artists give up their attachment to the conceptual conformation/destruction of the self, they manifest the highest possible human aim, the transcendence of the “I”. They don’t aspire to fulfill any expectations, because they do not run an established course – their curiosity leads them to “terra incognita”, the unknown territories, there they want to stroll and discover. The grade of liberty that they are offering to viewers and collectors is the result of many years of consequent labor. 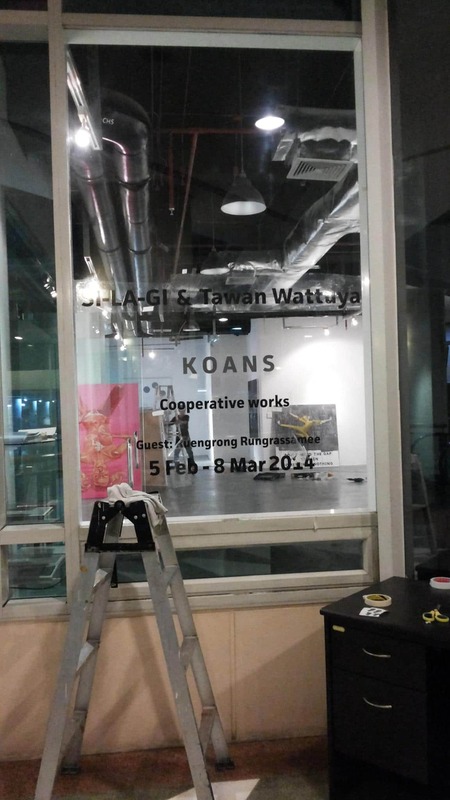 On Wednesday the 5th of February 2014, “KOANS Exhibition” was held at Tang Contemporary Art Gallery in Silom Galleria building, as Dooddot had previously mentioned in the following link http://www.dooddot.com/koans-exhibition/ . 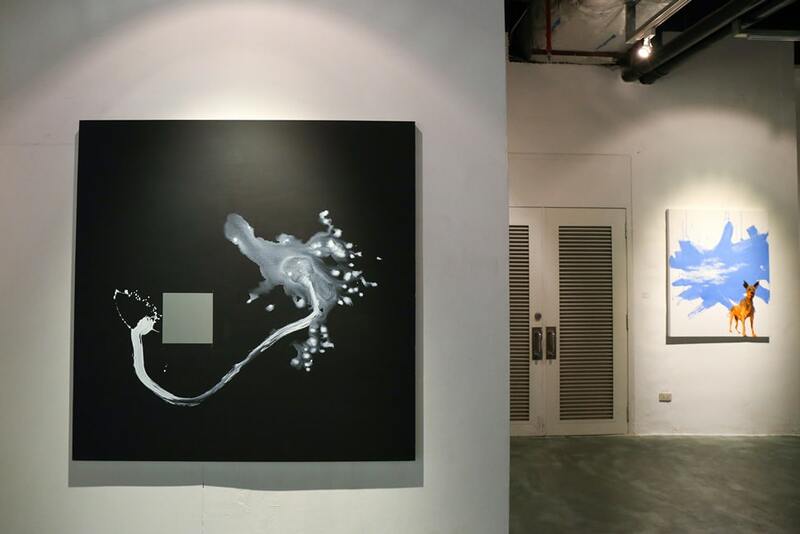 What’s special about this contemporary art exhibition is that it showcases the collaborative art series from two renowned artists from Thailand and Hungary; Tawan Wattuya and Szabolcs Szilagyi aka SI-LA-GI. We are privileged to have talked to the two artists about their collaboration, their work process, and how they feel about working together on this special project. How did you first get to know SI-LA-GI? 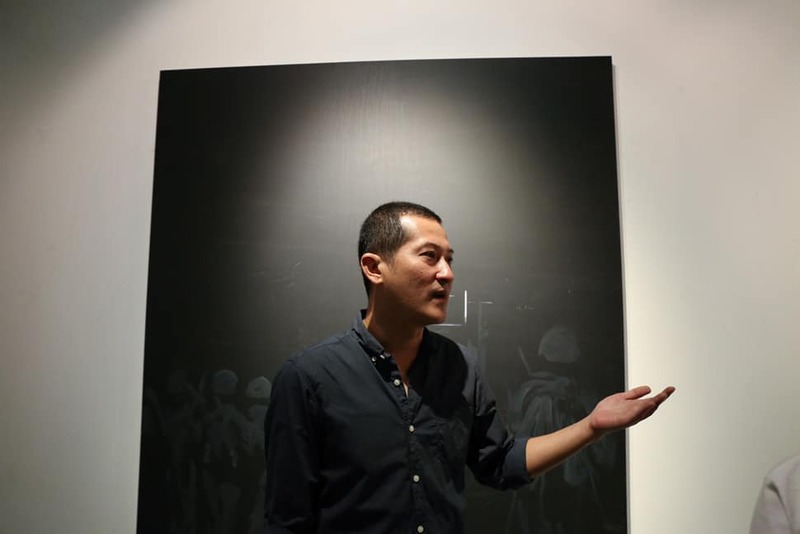 Around 8 years ago, I got to know him through Tang Contemporary Art Gallery. He would come to Thailand quite often, as he really likes Thailand. SI-LA-GI has worked on this sort of project before, where he would work with other artists on the same canvas. He would invite the artists he likes; from French, Japanese, to Chinese. 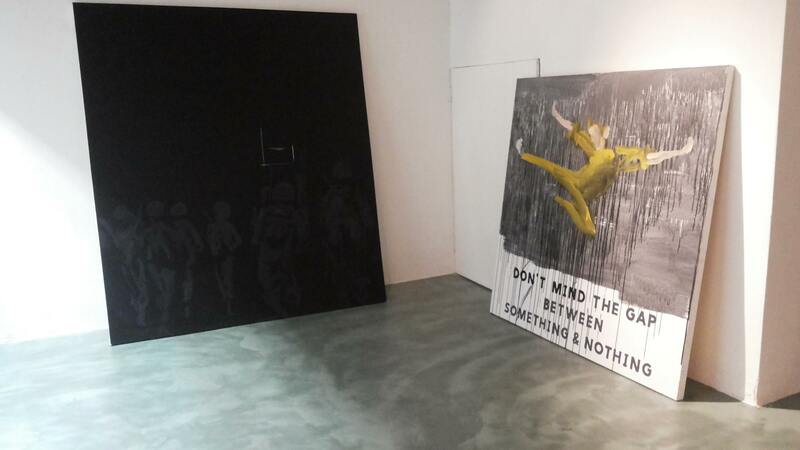 Later on, he wanted to collaborate with Thai artists, plus he likes the artworks in this gallery, so the Tang Contemporary Art Gallery introduced me to him. He went to my studio, and so we agreed to work together. There were two art pieces at the time, where we both kept one of each. Our collaboration has continued since then. 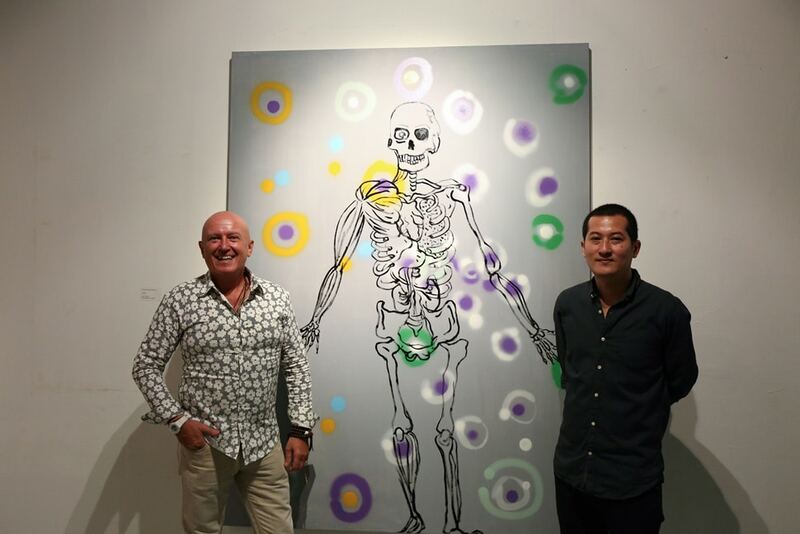 We worked together at my studio on his last visit to Thailand sometime last year, where we produced a number of artworks. The Director of Tang’s Gallery came to visit my house and saw our work, so he invited us to open an exhibition. Actually according to the plan, this show is supposed to be held at the end of this year. But since SI-LA-GI is already here in Thailand, we therefore decided to move the show up. 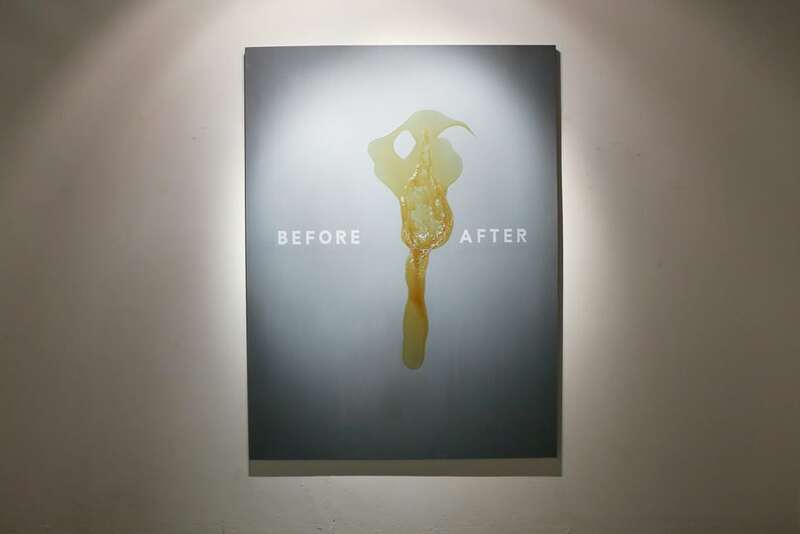 What was the time frame and working process for the artworks? We spent around 2 months to complete the whole thing. We didn’t really know what was going to happen, we spent more time looking at the paintings than working on them. Whoever started to paint, later we would decide who will continue with the painting. On some days we wouldn’t have that sort of feeling, so we would just leave the paintings for 2-3 days, and come back to look at them again. We would complete some paintings within a very short period of time, but for some, we could spend more than 2 weeks to complete. We also had a bit of a break to go back and come up with ideas. 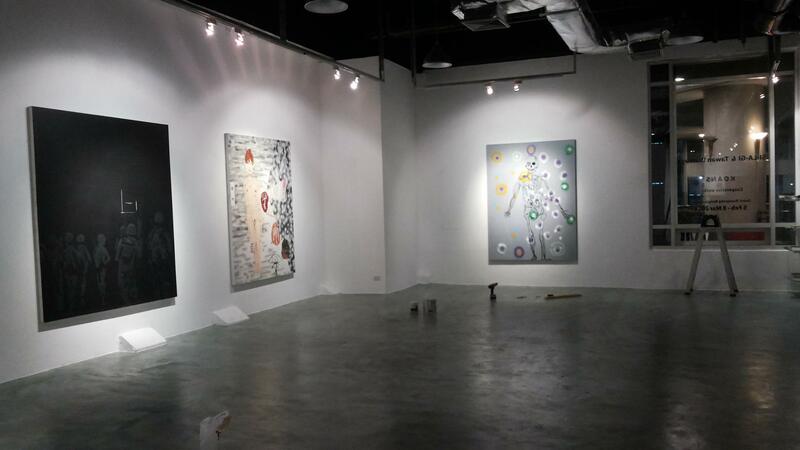 There are actually more paintings that we did, but these are the ones that Tang gallery chose to exhibit. What did you get from this collaboration? It’s like we get to go on an adventure, not knowing what will happen next. Sometimes we would discuss how we want our work to turn out, and sometimes we didn’t really care that we both have to think the same way. I think what each person chooses to put into his or her work has its own meaning. I had fun doing this sort of work with other artists. SI-LA-GI and I didn’t even think of having our work being showcased, because personally he already has his own shows. But we both really like working on this project, as it made us feel happy. How did you feel working with Tawan? I find it very interesting to work with him, because when we work together, we never really talk what we were going to paint. We interact and communicate through our work, which compared to the same sort of work I’ve done with other artists, this time is considered to be quite unique in terms of the working process and the amount of work we produced. Normally I would produce about 1-2 art pieces with other artists, but with Tawan, we produced around 30 art pieces altogether. Therefore, working with him was very intense and deep. It’s different for each paintings. Sometimes I started the artwork, sometimes it was Tawan. Sometimes we would talk only once and felt that it is right, but sometimes we also needed to find the right balance for each art pieces. I have to say it was very difficult, but because of these difficulties, it taught me to find the right balance when working, and what to do when some artwork didn’t function. But in the end, the result came out to be very satisfying for the both of us. What will the audience get from this exhibition? 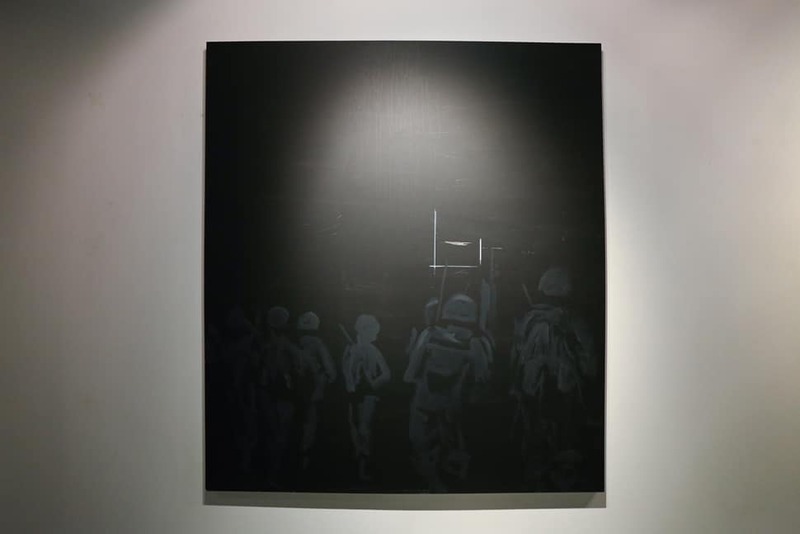 I hope the audience will look at the artwork with their own freedom. They don’t have to look at the artwork with the knowledge in the arts and say, “this is conceptual art”, “that is expressionism”…no. I don’t need anything like that. Of course I’d like to know whether people like my work or not, but in this field of art, it is different from theaters or acting, where people who like the performance would clap at the end of a show. 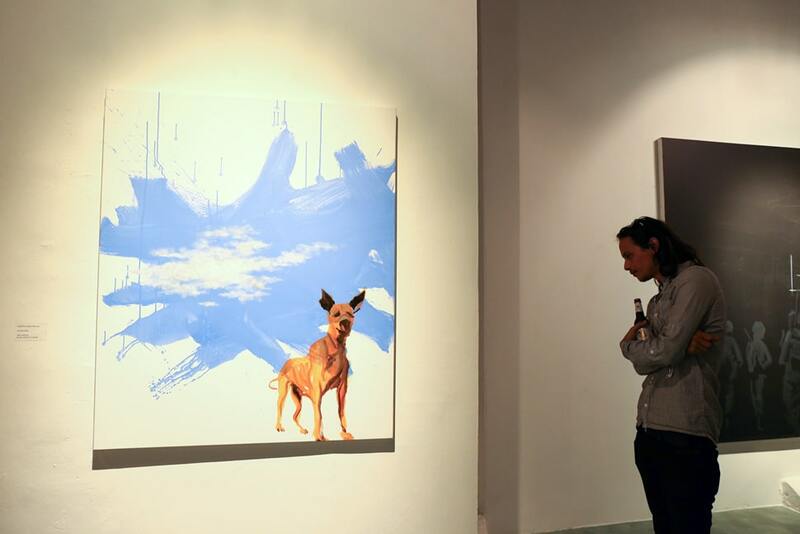 But with this show it is nothing like that, therefore I cannot guess how the audience feel about my work. 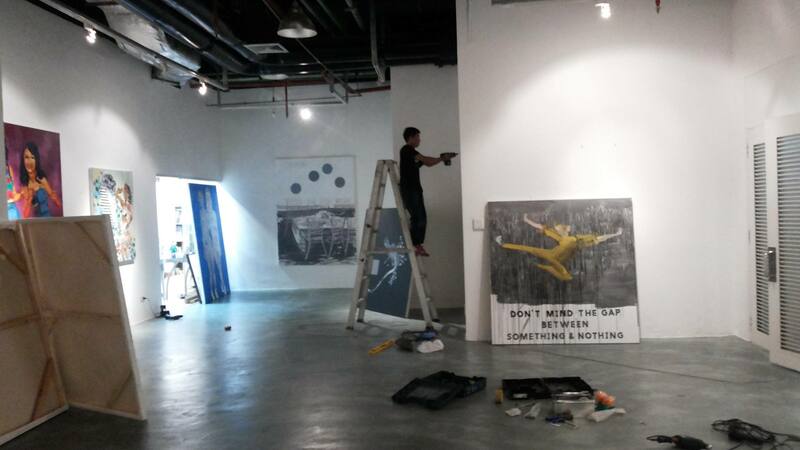 What I believe Tawan and I are alike is that we are both very free and open minded when it comes to our art. This also applies to the audience in our show. 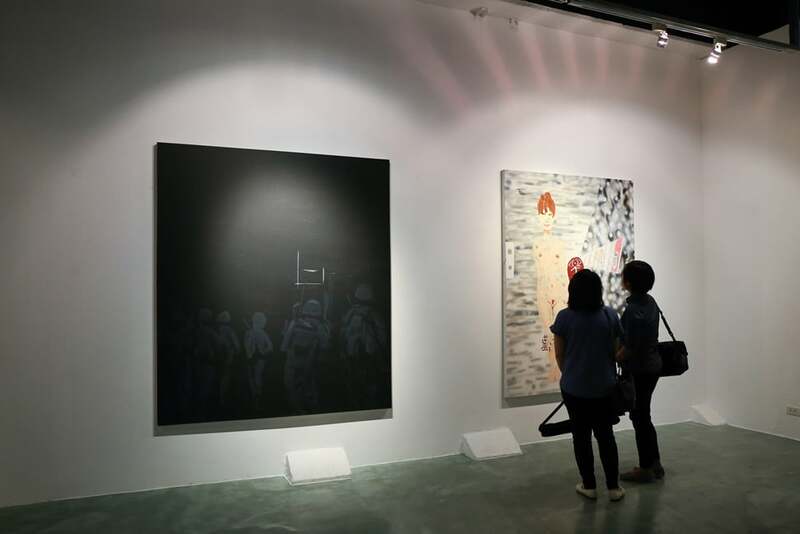 I just hope that the audience are also open minded with what’s in front of them, and view these artworks with sincerity.